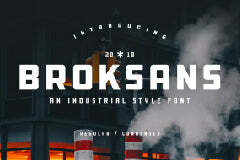 Download and enjoy this free streetwear font. Cool typeface to showcase your designs in a modern way. Go give some love to Free Design Resources for creating this top-notch free typeface. Amaze your fellow designers and create stunning designs with this cool font.